The world-famous André Rieu is undoubtedly one of the most successful musicians of our time. With 90 concerts a year and more than 40 million albums sold, the 'King of the Waltz' has won millions of fans around the globe. His concert tours regularly rank among the Top Ten Billboard Touring Charts of the most successful shows worldwide. Annually, he gives special open-air concerts in his hometown of Maastricht, attended by tens of thousands from all corners of the world to immerse themselves in one of the most emotional live music experiences possible, set against the beautiful backdrop of the medieval town square. 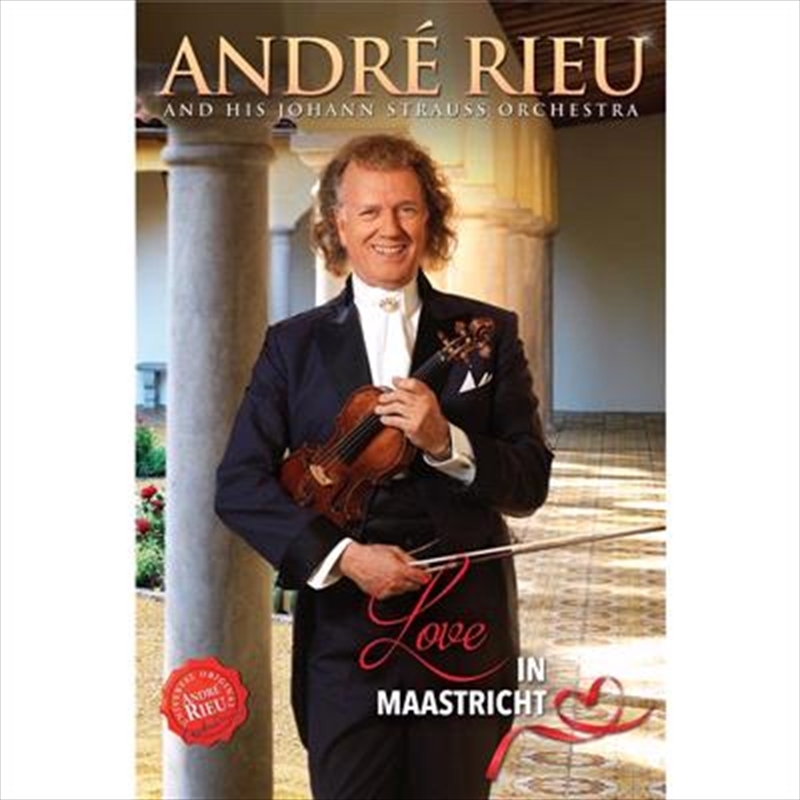 Fans can now enjoy this unique concert experience in their own living rooms, as André Rieu is set to release his eagerly awaited 'Love in Maastricht' DVD. Featuring special guests Los del Rio with their megahit "Macarena." With a record number of 13 events, André Rieu thrilled more than 150,000 fans from 80 countries on the Vrijthof square. Recorded live in July 2018, the DVD features thirty fantastic tracks: romantic waltzes, popular arias such as 'Nessun Dorma' from Giacomo Puccini, world-famous melodies including 'Granada', 'You'll Never Walk Alone', the 'Snow Waltz', and the 'Radetzky March'; global hits like 'Can't Help Falling In Love', and goosebumps-inducing interpretations of 'You Raise Me Up' and 'Lara's Theme' from famous film 'Doctor Zhivago'. Also featured are the Platin Tenors, and Los del Rio in a veritable fireworks display of emotions in the Netherlands' most beautiful square.